The world has undergone a massive change as an outcome of the smartphone invasion, and as the most attractive category of apps, mobile games have the capability to reach an incredible number of users. The emergence of completely free applications boosted by the in-app purchases has opened up ways to a seemingly massive growth in the number and reach of games made for iPhone, Android, and other smartphone platforms. Intelligent App Solutions is renowned for providing the best mobile game development services to the clients all over the world. We operate with zeal to offer an immaculate gaming experience to the gamers and bring out the best in all our iPhone, iPad, and Android game designs. We focus on exquisite implementation, brilliant innovation, and an exceptional user experience for mobile game companies. 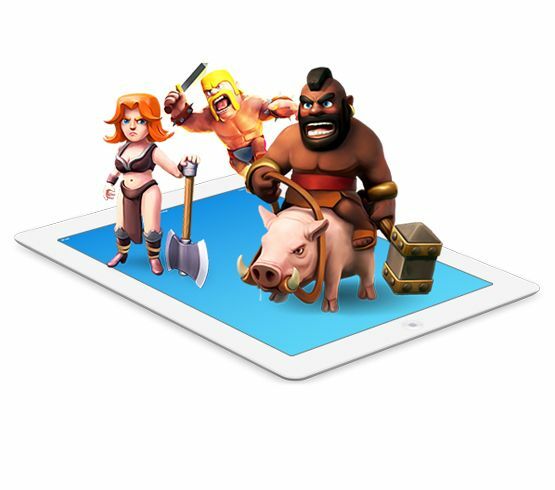 We build mobile games that will completely transform your business. We offer top-notch user interface, hardware capabilities, game mechanics, and visual appeal. Simple but effective UI that is in line with the Store guidelines. Seamless screen transitioning & services integration. Unparalleled and lovable mobile game graphics. Capable of building magnificent 3D and 2D game visions to life. Socialize and interact with users in a smart way. Achieve fast game performance and responsiveness. The success that we bring to our clients inspires us to go the extra mile in discovering innovative opportunities, technical know-how, and promising gaming trends. The mobile gaming industry has affected numerous areas of life and business, so why don’t you tap in this vast gaming market?